Any respectable and in-demand logo design software would stock thousands of prepared icons for you to make us of. But when you browse through the ten software options that we present you, do not just think of quantity but of quality as well. And most importantly, customer service must be adequate, and if possible exceptional. So, enjoy finding out about ten of the most interesting logo design packages available today. The “quick” in the name of this software is not just a promise of quick logo solutions. It also points out to the fact that this program is very easy to get to know. The ease may be too elementary for graphic artists whose level of conceptualization of design approaches a higher plane. But it is a great option for those who require software with basic logo design functions. Are you wishing and hoping to make a custom logo for free with 20, 000 design elements at your disposal? Do you expect your logo to retain its high-res appearance even as you alter its size? And do you want the logo that represents your enterprise to be distinct (on a global scale?) If you say, “Aye” to all three then LogoYes is the perfect program for you. This design veteran is now much faster and even more intuitive with a newly streamlined interface. It is still great with files that are difficult to understand (i.e. complex). 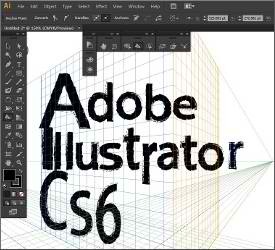 Once you know the ins and outs of CS6 it won’t be difficult to produce a logo that will truly make a mark. All you need is to find the inspiration because you already have the right tools at your fingertips. Logaster is giving much deserved praise to their loyal patrons for having completed a total of 50, 000 logos in not even three months. They’re also, very subtly, patting themselves in the back, and perhaps that is also well-deserved. The latest news from Logaster is that they can help you out with company envelopes as well. We don’t know about the exact target amount of envelope design in three months’ time, but we’ll keep you posted. There is a school of thought that recommends you do not just be satisfied with one logo. The proponents of this school of thought happen to be creators of a tool that is capable of producing thousands of amazing options a minute. And if you have the talent you can use this tool to sell singular logo designs to those who are in need of one, or two. Their library of logo designs are categorized for easy referencing. And you might like to know that this imposing package a very affordable. The process of creating designs is always exciting. And if you have a powerful yet very easy to tool use, then there’s nothing to hinder the flow of creative juices, right? AAA logo presents you with ready-to-use clipart, templates, customized fonts and the option to complete a project is very little time. The process of logo creation used here is very simple indeed. All you need to do is drag and drop. You have the freedom to choose and lay-out the logo elements until you come up with something unique and very personalized. That’s possible because you may import design elements from your own collection. Logo Creator lets you mix and match! LogoSmartz is laying this to you on a silver platter: high quality templates and vector graphic symbols, filters, fills, special effects, fonts, layers, colors, adjustments, the works! It has so many attractive and innovative features that it bears seeing for yourself, and seeing what you can do with those tools. You can make transparent logos if that’s what you feel like doing. Considered by many as one of the best software around, LogoMaker 3.0 has a very modern and friendly user interface and enough tools and features for you to use in creating HD logo design. It’s an intelligent software for smart and talented individuals. 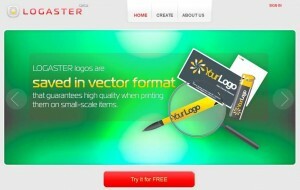 Online Logo Maker is a lightweight online tool for creating logos easily. It has more than a 1000 symbols of various categories to choose from as well as fonts selected by professional designers. The interface is really easy and lets you resize, rotate and transform your design. And the biggest advantage is that it’s completely free – you can download the logo straight to your computer once done! All these logo design software are meant to assist the user in the creative process. Even in logo design, it takes one to know one, so make sure you choose software that is compatible with your strengths as a designer. Mostly i use Photoshop is also best tool for logo Design. Now i want to implement on Adobe illustration but its Difficult to understand. Designing perfect logo is not an easy task. If you donot understand these softwares then contact the professional designers in the market to prepare a good logo for your business. design with the help of online website but it makes very difference. Can I suggest a free logo software? I suggest https://designapp.io/app you can create free logo and download in 1920px width. and if you want you can select one of premium logo designs.